The City of Austin Park Ranger program was created to provide educational services, safety, and security in Austin’s parks and recreational facilities. Equally important is our aim to protect and foster stewardship of the natural world. To accomplish this, the park rangers have been trained with a focus on emergency medical response, education, and public safety. 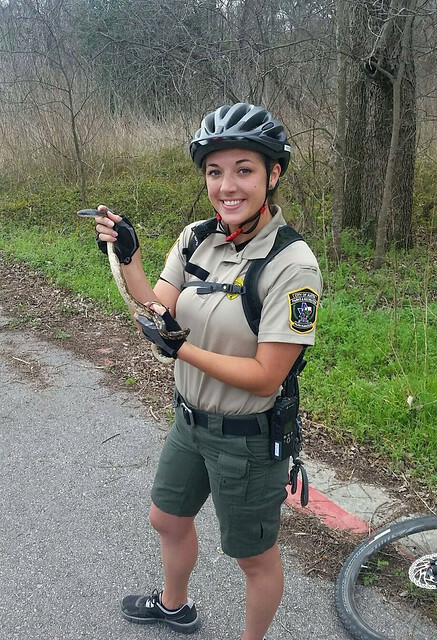 Park Rangers are ambassadors for Austin's park system that promote responsible recreation, cultivate stewardship, and conserve parks' cultural and natural resources for the benefit of our entire community. Our program calendar, which includes both public and group-specific events the Rangers are leading for the month. Rangers can do programs for any size group and for any age. Some examples include: scout troops, school groups, recreation centers, clubs, non-profits, volunteer organizations, and many others. Download Program Calendar. Contact us at Ranger Programs for more information!